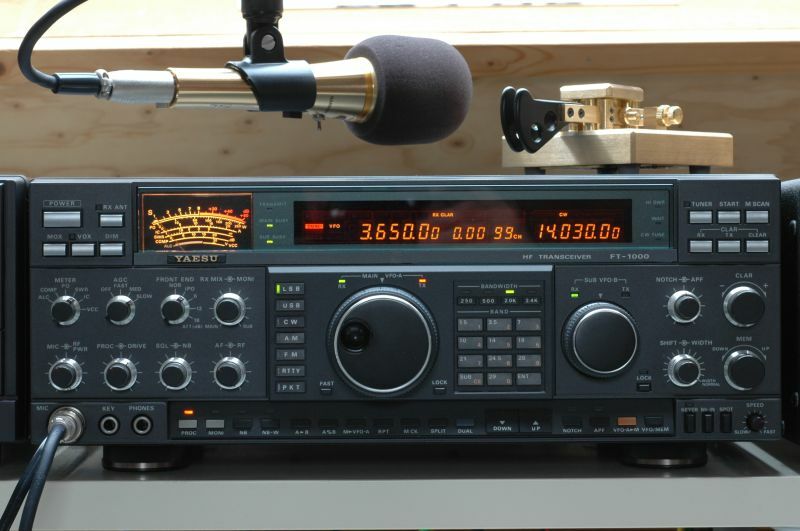 IMHO the FT-1000D still is one of the best transceivers which has been made for the amateur radio market. in combination with Inrad IF-filters, the Inrad Roofing Filter and the Timewave DSP599zx. International Radio filters are superior in performance to original radio manufacturer filters. from multiple strong signals in the 2 to 20 kHz region either side of the tuned frequency. Installation is simple and requires soldering the +12V and ground wires. One coax is moved and a coax jumper is added. For the serious CW-operator this mod is a must! The FT-1000(D) runs an essentially unshaped CW waveform into the filters. This harsh signal generates unnecessary keyclicks. The clicks are strongest from almost 1 kHz below to 2kHz above the transmit frequency. Thanks to Tom W8JI for his great help with this important mods! Instead of the Murata Ceramic CFJ455K15 2400 Hz filter: the Inrad #715-C 2800 Hz filter wired-in for the 455 kHz IF. 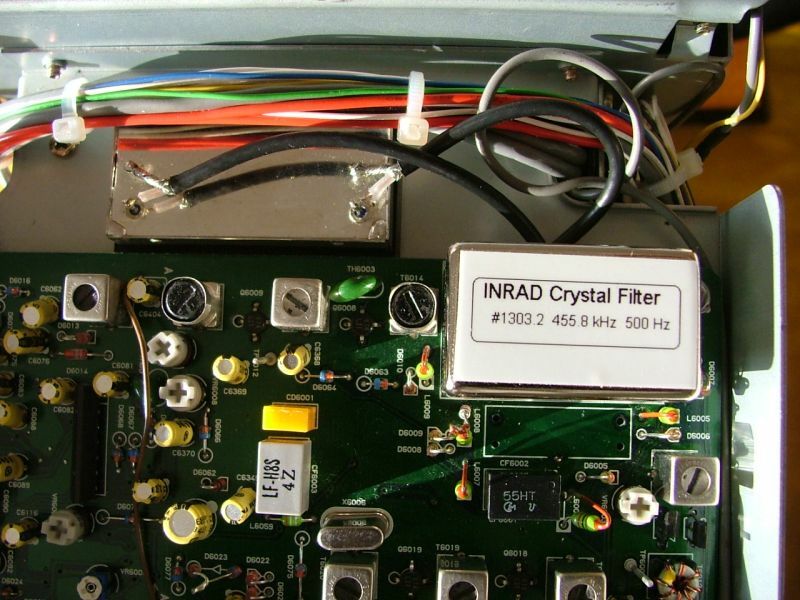 Instead of the Yaesu XF-455MC 600 Hz filter: the Inrad #1303.2 500 Hz filter for the 455.8 kHz IF. This is a substantial improvement of the FT-1000D's Sub-RX!